Do you still have lead pipes? We did. 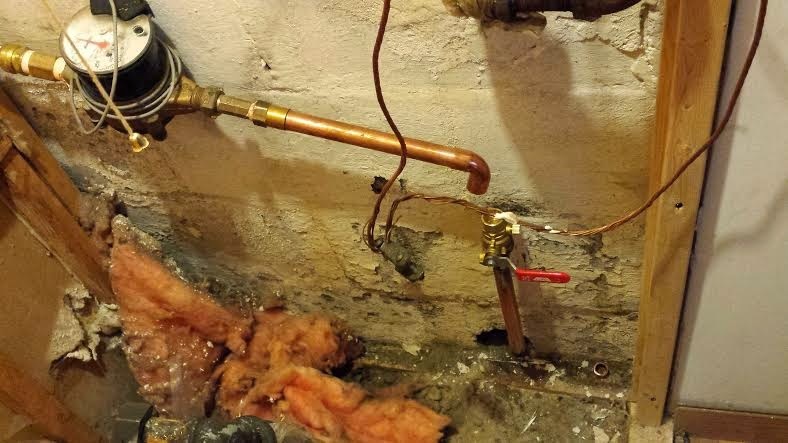 With so many old Toronto neighbourhoods still serviced by lead pipes, we weren't surprised when a routine water meter replacement turned up a little lead problem. Not only did we need to replace our shut off valve, we had lead pipes! Not being an alarmist, I chalked it up to a necessary cost of homeownership and Corey put us on the waitlist for replacement pipes while we started running the water on cold before drinking it. The way it works is the city will replace their portion and the homeowner pays to replace theirs. For the sake of simplicity and scheduling, we decided to use the city's contractors and they quoted us about $2000 for the work. To be honest, I was a little relieved because I had assumed the cost would be higher. When I discovered that I was pregnant, I lost my devil-may-care attitude towards our drinking water and switched to bottled water while Corey started calling to check on our appointment. Nearly seven months later, we finally secured an appointment just weeks before the wedding. Woo hoo! The guys arrived and dug out our driveway. (Now we have an excuse for our lack of landscaping!) 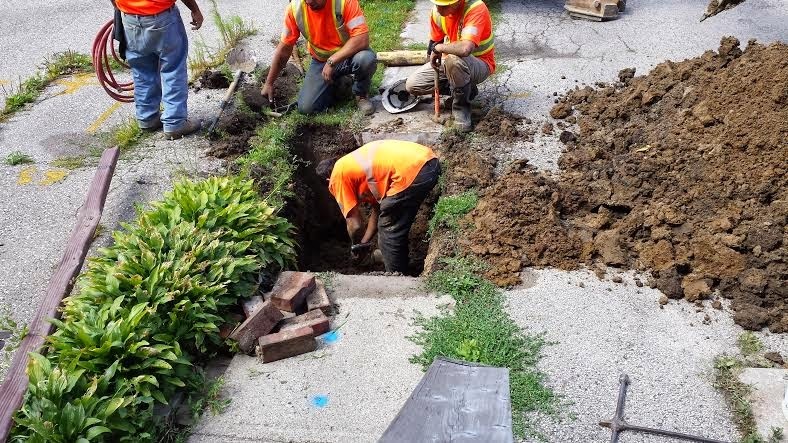 They also dug up part of the street and discovered that the city pipes had actually been replaced and just hadn't updated their records. 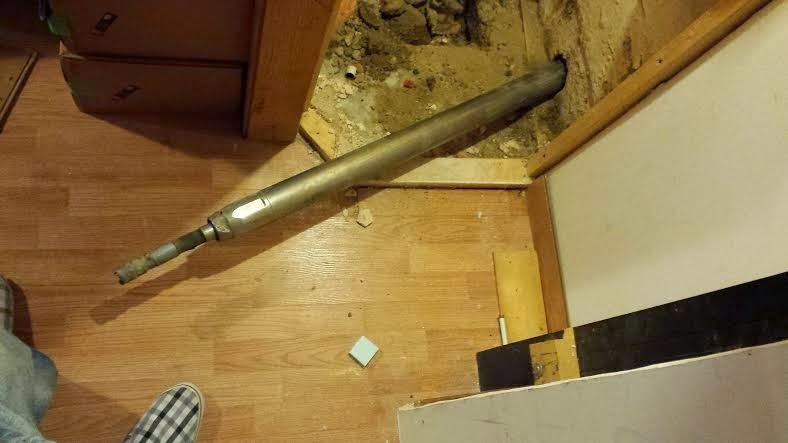 They used a little torpedo that shook the house and sounded like a jackhammer! 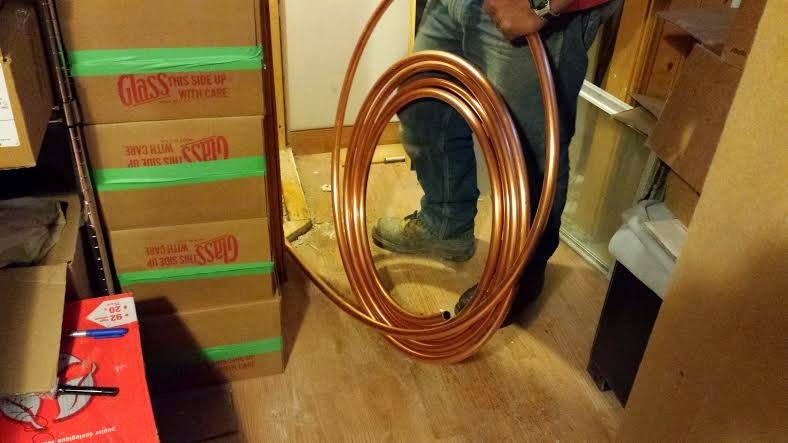 Look at those shiny new copper pipes! 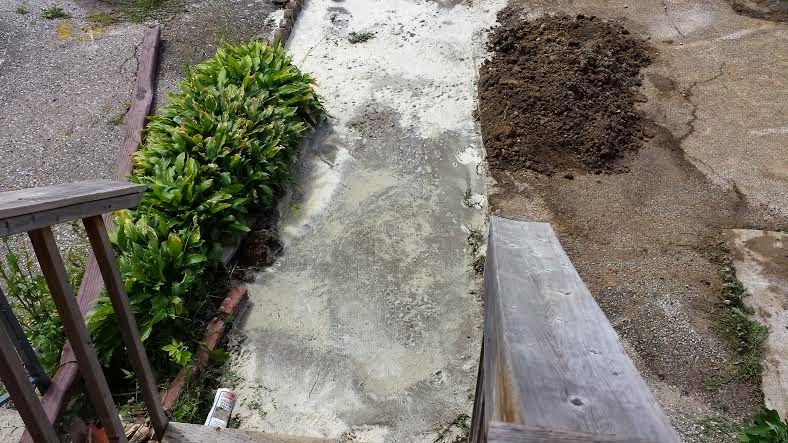 Their patch job was underwhelming but we need to redo the walkway and driveway at some point anyway, so it's not much worse than before. 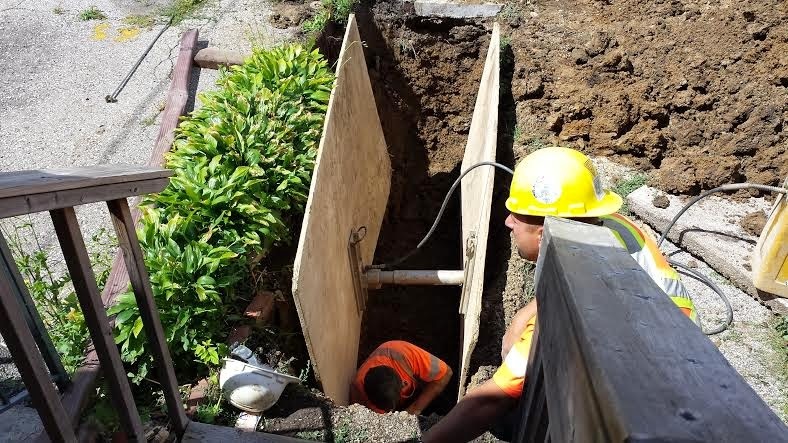 In the past, the city of Toronto has offered rebates for lead pipe replacement and they are now considering a loan program but with a baby on the way, we didn't want to wait. At least we can check another thing off our house list. Best of all, we can now drink our own tap water!